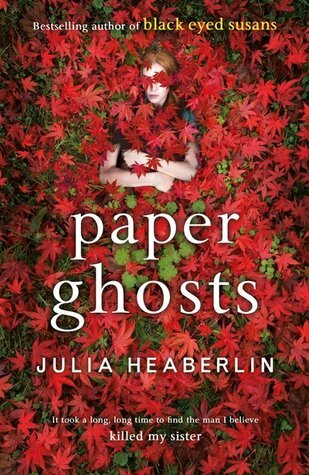 Texas journalist-turned-novelist Julia Heaberlin just gets better and better. Years ago I read her debut, PLAYING DEAD, where a former rodeo rider who is contacted after her father's death by a woman claiming that she was kidnapped as a baby. I thought Heaberlin showed lots of promise, and a knack for evoking the Texas setting (geography and people), and twisted family secrets. That was a good book. Her third, BLACK-EYED SUSANS, was brilliant. The tale of the sole survivor of a serial killer who starts to question what she's always believed about the case as the man's execution date looms. Creepy and disturbing, Hearberlin gave us a fresh look at the 'Texas death machine' (Texas executes far more people than any other US state), while keeping the pages whirring with clever plotting, interesting characters, and a rich setting. So it was with some anticipation that I began PAPER GHOSTS yesterday. I was not disappointed. There are books you can just tell from the first few pages are going to be really good, not because of some shocking scene or big attention-grabbing hook, but because of the quality of the writing. The way the prose draws you in completely and has an x-factor to it, little touches that make it distinct without seeming too 'try-hard' or 'put on' by the author. This is one of those books. Our unnamed narrator is a young woman on a mission. For a while now she's been visiting Carl Louis Feldman, an acclaimed photographer turned notorious outcast, at a halfway house. Feldman was tried and acquitted for the abduction and murder of a young woman, but some believe he not only got away with one murder, but several. After years out of sight, the narrator tracked him down at the halfway house, where he's apparently suffering from early-onset dementia and other ailments. The narrator has told a confused Carl that she's his long-lost daughter, but that's not true. She's actually the sister of a girl who went missing many years before. A disappearance that sparked a crusade that eventually led her to Carl and his Swiss cheese memory. She's planned a road trip, taking Carl from his halfway house out across the Texas landscapes, revisiting places that could jog his memory. Under a bridge. A spot in the desert. An historic house. The lapping waters of Galveston. Places where the narrator has marked red crosses, where young woman went missing over the years. It's a delicious set-up, where two untrustworthy characters are thrust together on a road trip. The narrator and Carl are in their own cocoon and largely isolated from the world around them, even as they interact with a random assortment of characters that cross their path. But just who is fooling who? Who is really in control? Heaberlin adroitly dances the tightrope, keeping the tension high and keeping readers wondering, even as plans go awry and detours are taken across Texas landscapes. I really enjoyed this book, reading it in far less than a day. It has a good set-up, but doesn't rely on that in isolation. 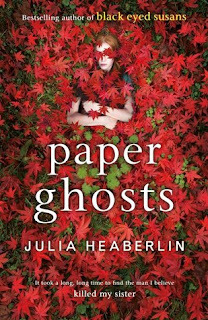 Heaberlin has grown into a master storyteller, taking readers on a journey with lyrical prose. Carl was a photographer, known for capturing ordinary things in a haunting, mesmerising way. Seeing things with a slightly different view compared to those who rush by. In a way, Heaberlin does the same. It's not massive plot twists or frenetic action - the bold and obvious - which she utilises, but something subtler, more textured and nuanced to draw our attention and keep us riveted. Her descriptions of the Texas landscapes, the weather, the man-made additions, the history, and the people, are simply wonderful. She weaves all of this into a compulsive tale which is very hard to put down. Is the narrator being honest with us, or is something else going on? Has she bitten off far more than she can chew, driving out into the desert with a suspected serial killer? An excellent read from a master storyteller. Bravo Julia Heaberlin.